Since bronze and linen mark this anniversary, the ideal 8th anniversary gifts should be chosen keeping these materials in mind. Here are some of the best ideas to keep in mind. 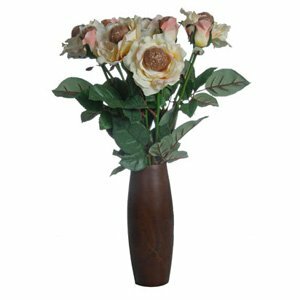 Beautiful bronze roses with bronze colored silk petals surrounding a center of bronze wool with silk leaves. You could send a single rose or a whole bouquet and the best bit is that they will be a lasting reminder of your 8th anniversary. 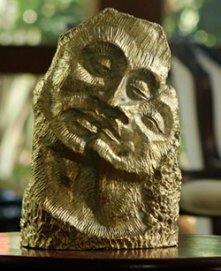 Stunning bronze sculpture of a couple cheek to cheek, losing themselves in the moment. A perfect 8th anniversary gift for a couple in love. 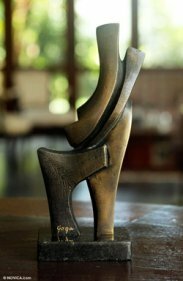 More of a modern couple then this gorgeous modern bronze would be perfect. Choose a beautifully designed bronze photo frame as your gift. 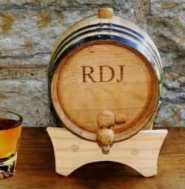 You can personalize this beautiful gift by engraving both your names and anniversary details and maybe a message. And yes, do not forget to put in a snapshot of a special moment you two have cherished together. Find or make a delicately carved bronze book stand. This is ideal for the person who likes reading and at the same time treasures his or her books and likes to keep them organized. It is not necessary to keep it sitting pretty on the floor but could be put up on the wall as a decorative piece. This would not only save on space but a unique design would enhance the look of your home. What better way to celebrate the passage of time the two of you have experienced together than with the gift of clock? You can find some beautiful bronze clocks available, and they make a lovely addition to most home decor. If you're not a fan of clocks, consider watches. These come in bronze hues and can be engraved with a personal message. The nice thing about a watch is also that it can be passed down to your children as a keepsake. 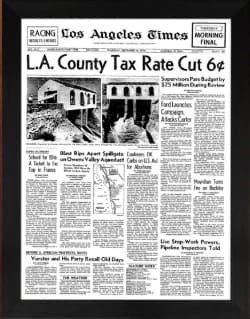 This is one of the best 8th anniversary gifts: a lovely way to make your bedroom look beautiful. Choose something you both will love. Choose the highest quality linen or cotton bedding you can find so that when you go to bed at night you'll sleep in total luxury. It's the gift that keeps on giving. 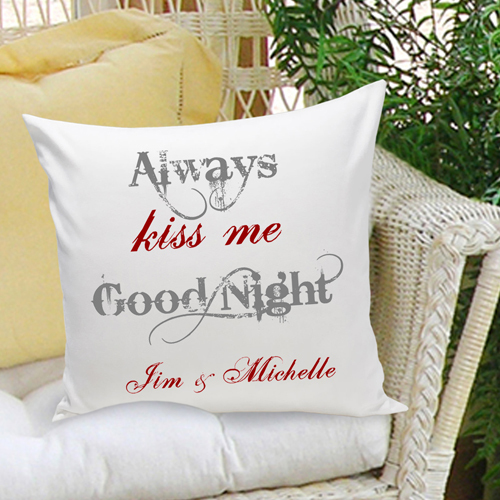 And this lovely personalized "...Always Kiss Me Goodnight would be perfect. We have lots of personalized pillows available in our Anniversary Gifts Store today. Personalized handkerchiefs with pretty lace borders look elegant to carry around. 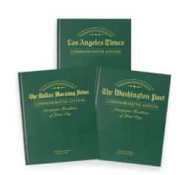 You can personalize it by getting a message printed along with a love symbol or your wife's name. This would show the trouble taken by you to make her day special. Likewise, wives can purchase this gifts for their husbands and have them personalized with his initials.